Having perfected my QOS setup at our office in version 5, I decided to upgrade to RouterOS Version 6 today. Remember that the HTB’s global-in, global-out and global-total are gone, replaced by “global”. This will obviously break my QOS so I was prepared for the worst. After the upgrade, I simply changed all references to those HTB’s to the new “global” and instantly everything was back to normal and was working automagically. 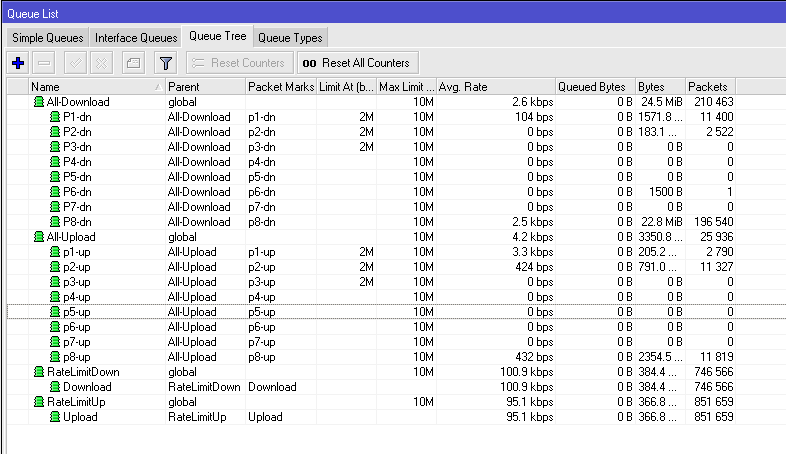 Note: User type rate limits (in this case double QOS) have to move to simple queues but that was a breeze.. Here is one that caught me by surprise and several of our customers as well. MikroTik’s default configuration for devices with wireless has changed. There is now WPA/WPA2 security on the wireless connection. You will need to enter the serial number of the device as the key to get wireless access to the device the first time. The serial number should be entered with capital letters and no spaces and it is found on the sticker on the bottom of the device. In this example the key is 4588026E58E1. My advise? Log in via ether2, and remove the default configuration. Then use Quickset to reconfigure your way! 1. You will be one of the first people in the registration line for the MUM. That means more stuff as the cool give-aways tend to run out. 2. You will get three days to hang out with the MikroTik staff. Several staffers arrive early to do training (the cool ones at least…). 3. You can stay for the user’s meeting on Thursday and Friday for tons of fun, good food, fellowship and training. 4. Oh, did I mention MikroTik training? Monday-Wednesday I will lead you through RouterOS, learning everything you need to know to use this awesome product to its fullest extent. I hope to see you in St. Louis! Sitting in a hotel this week, Boone, North Carolina doing some MikroTik training for Samaritan’s Purse, a world wide non-profit that does relief work and a lot more just about everywhere humans can go. It has been great training with great people but the internet at the local Holiday Inn express is well, terrible. I can’t think of a better description. Fortunately, I brought a RB951UI-2HnD and fortunately, there was a Lowes’ next door with fast wireless and fortunately, my room was on the Lowe’s side of the building. So, if you ever stay on the south side of the building in the Boone, NC Holiday Inn, and have a MikroTik RouterBoard with you, paste this in and enjoy! Layer 7 pattern matching is one of the most powerful features of RouterOS. With it you can match almost any type of traffic and perform actions on it like QOS, blocking, etc. The trick is writing a Regex expression that will match the type of traffic you are interested in. I did some searching and found there are a few examples out there but not really a repository of expressions that one can draw from. Maybe they are out there and people are keeping them for themselves but I am all in favor of sharing. So, I am thinking of creating a site where people can contribute to a repository and everyone can benefit. Email me if you have any ideas of how this could or should be done or if you have material to contribute. Email sdischer[at]ispsupplies.com. 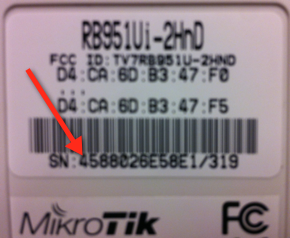 Unfortunately MikroTik has received faulty RB2011UAS-2HnD-IN enclosures from their supplier. Those cases have incorrect position of mounting holes for indoor antennas with very high risk of breaking off MMCX connector, situated on the board. delay all shipments of RB2011UAS-2HnD-IN for ~6 weeks.